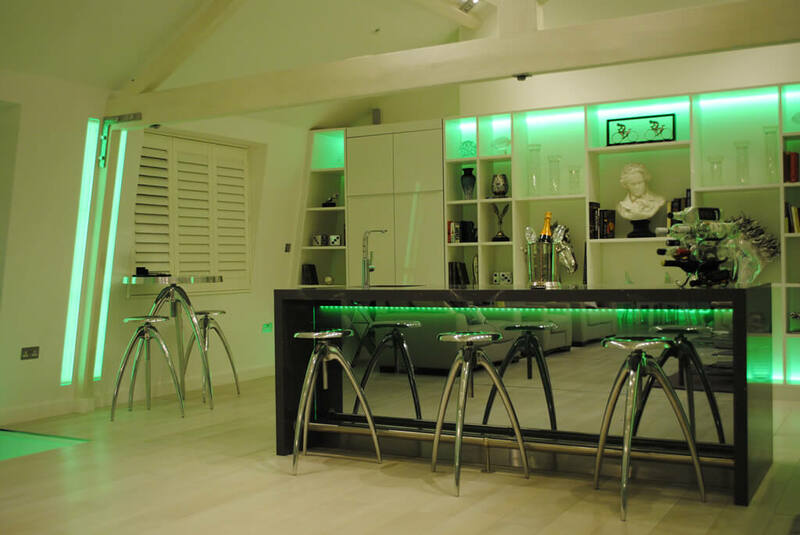 We recently had the chance to work on this fantastic luxury penthouse apartment in Edgware Road, London. 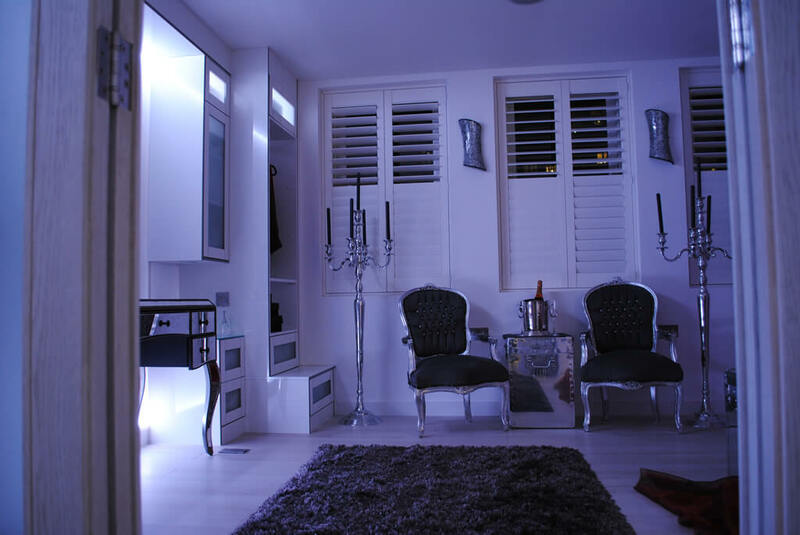 The client required us to supply and install a range of bespoke shutters to the living room, kitchen, bathroom and bedrooms. 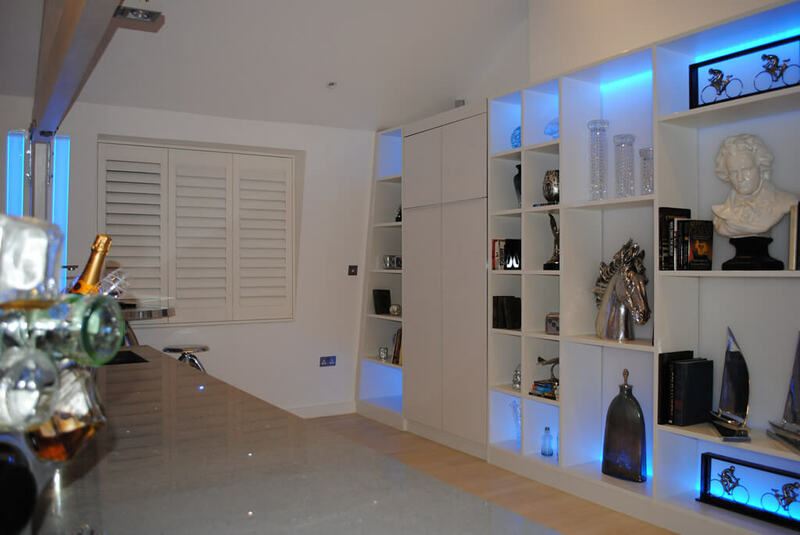 Taking into consideration the clients own ideas, existing decor and our own knowledge we came up with the perfect solution for all rooms, including a remote controlled solution in the living room and kitchen areas. 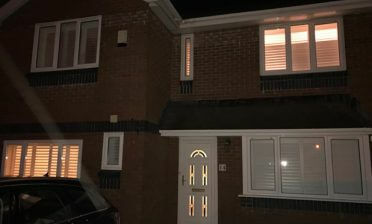 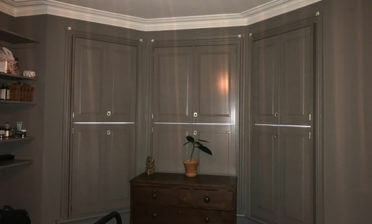 The kitchen shutters were also finished to match the same spec as the living room. 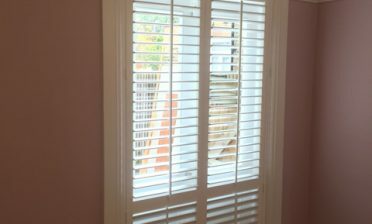 The Bedrooms were also fitted with the Wimborne White finished full height shutters, complete with concealed tilt rods. 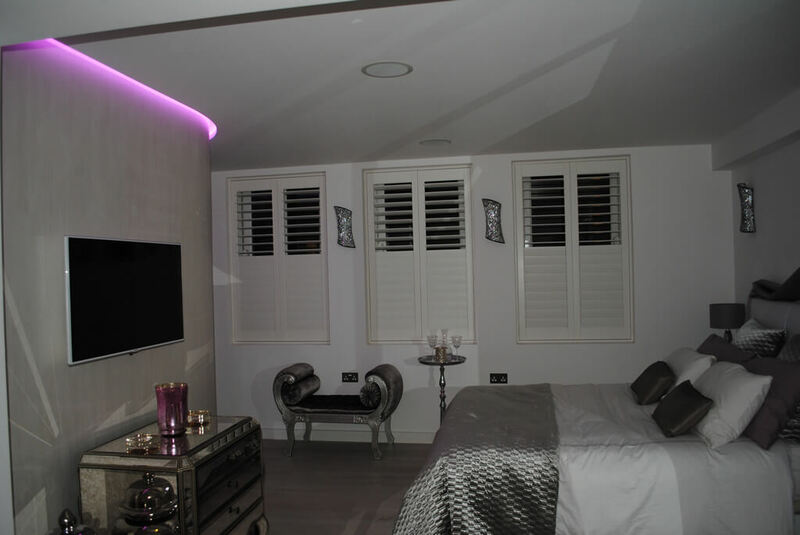 These shutters are made with an invisible split in the louvres which allows you to separate the louvre openings for privacy and light control. 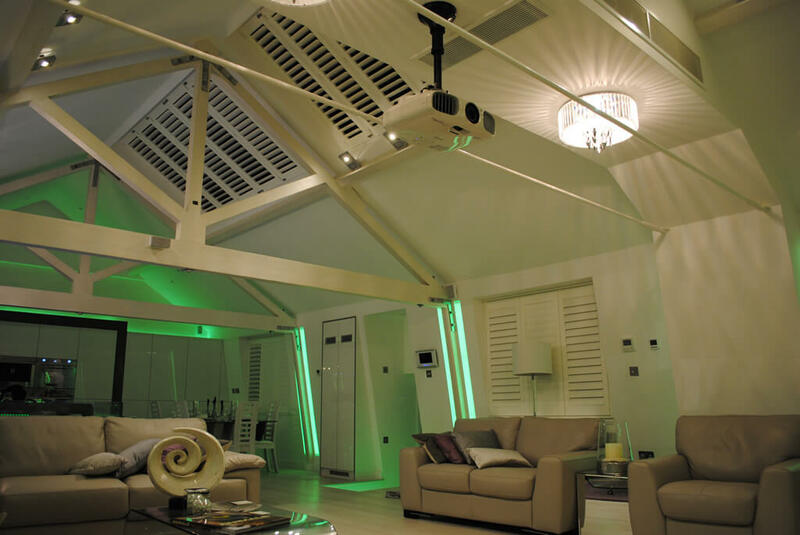 You can find out more about our tilt rod functionality options that we used in these rooms. 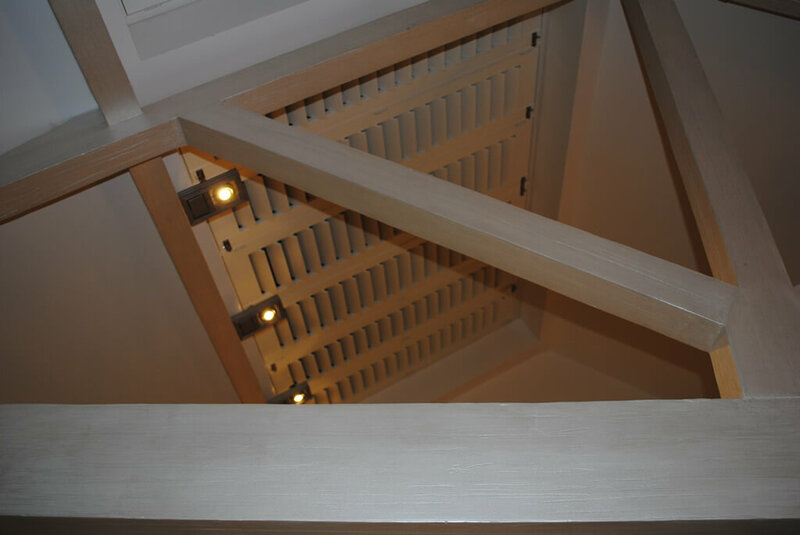 In the Bathroom we again used full height shutters, but in Permawood (PVC) which is made up of a timber core, but with a fully water resistant surface which makes them the perfect option for rooms with high humidity such as bathrooms and wetrooms. 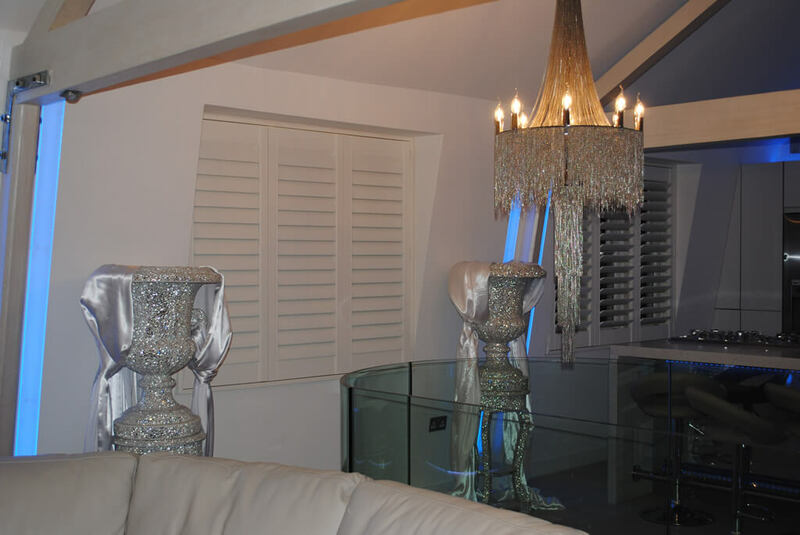 These were finished for the customer in Pure White.